As your kids are growing, you are probably seeing plenty of changes in their personalities. You may be learning that your son doesn’t like bananas. Or maybe your daughter isn’t very interested in that strawberry yogurt you just bought. Despite the minor frustrations you or your little ones may feel at this point, it’s important to understand that this stage in the lives of your children is so special! It can be difficult for you to understand everything that’s going on inside of your child’s head. The truth is, your little one doesn’t really understand, either. This is a new phase for him or her. But, there are so many positive effects directly related to this time in your kids’ lives It’s challenging to understand your children’s’ developing cognitive skills. They’re changing emotionally, mentally, and physically. 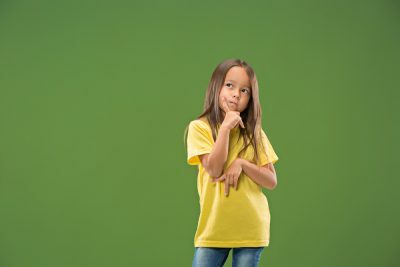 But, not only are your kids learning more about themselves through their experiences, but you are also gaining more knowledge about your kids’ thought patterns. Whether they are infants, toddlers, preschoolers, or even older children, your kids are developing cognitive skills every day. It’s important for you to learn more about what to expect from this kind of development. It will allow you to feel more comfortable as you work with your little ones to make sure that they have everything they need in order to grow and learn well. As your little ones continue to change and develop, your support will be critical to them. So, even though it’s tough to understand what your little ones are thinking and feeling, you can still help to make sure that your kids feel comfortable as they change and grow. It may be helpful to have a little more information about your kids’ developing cognitive skills. First, let’s answer the probing question: what are cognitive skills? Cognition is a mental action or process. It’s the gaining of knowledge. And, it’s how we develop an understanding of things. When children are developing cognitive skills, they are building more learning skills. They develop in areas like thinking, memory, and attention. Your kids are currently learning how to process the information they encounter. They’re learning how to work through processes like evaluation and making comparisons. Through their thinking and experiences, they are developing their own way of understanding the things that happen around them. Little ones who develop in their ability to pay attention and focus are gaining a very important cognitive skill. Although kids generally have a pretty short attention span, focusing on one thing for even a short amount of time is something that kids should be able to do. Even in adulthood, you are still using this skill that you learned as a child! So, developing cognitive skills early on is very important. Your kids’ ability to remember specific things is also needed. We often fail to think about how important it is to develop our memories. Our brains are really phenomenal. But, it’s important to take of them and help them to develop properly. One area of our cognition that should get attention is our memory. How often do you drive to work without really thinking about it? And how many times per week do you mindlessly tie your shoe? These are signs that the cognitive activity or memorization is at work. The same happens in your children’s lives. 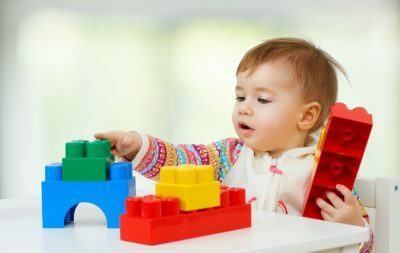 Simple routines like putting shoes in the closet or remembering where the blocks go after playtime are things that show how your child is developing. Most people grew in their ability to remember things without even realizing it. Remember learning the ABC’s song? How about rhymes that taught you the months of the year? Rhyming and music are great ways to help develop kids’ memory cognitive skill. Thinking skills, like reading comprehension or understanding simple directions, are important. As your children develop their ability to really think and figure things out, you’ll begin to see the changes. They may even start to ask a lot of questions or wonder about things you’ve never really considered. This just means they’re developing cognitive skills! Back in the 1950’s, a French psychologist named Jean Piaget shared his theory on the process of cognitive development. He explained the different benchmarks of this kind of growth in children. Piaget said that children who are 2 years old or younger are usually getting a sense of understanding about the world around them. They’re becoming more aware of their own senses and how things work. Sensorimotor Stage – Children are usually in this stage from birth to about 2 years of age. During this stage, kids become more aware of the objects and people around them. They also develop a sense of self and even gain a small understanding of cause and effect. For example, a child who is playing with a toy that makes noise or music, she may continue to press the buttons that trigger the noise. She’s aware that she can have an effect on an object. And she is learning that one action can cause something else to happen. Preoperational Stage – From about 2 to 7 years old, kids begin to get a better understanding of language. They begin to think more critically. At this age, it’s sometimes hard for little ones to see past themselves and understand the thought processes and feelings of others. Concrete Operational Stage – This stage involves children from ages 7 to 11. The development of critical thinking continues as kids begin to expand the way they think and feel in order to understand others better. Children also begin to think more logically. Formal Operational Stage – From the age of about 11 years old, kids usually begin to learn to think more abstractly. Moral beliefs, as well as logical and theoretical thinking skills, develop from this age and into adulthood. 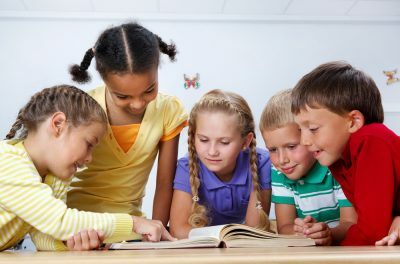 Kids between the ages of 2 and 7 are developing cognitive skills like memory and imagination. They are also growing in their understanding of the past and the future. If your child is somewhere between 7 and 11 years old, he or she is probably developing more of an awareness about the beliefs and ideas of others. Kids older than 11 are furthering the developing of that awareness. They’re learning more about how they view the world and thinking more logically about the problems they face. As a parent, there are lots of things you can do to help cultivate cognitive growth in your kids. You can help your kids memorize the alphabet and, yes, sing the alphabet song! You can ask your kids questions that require more than a “yes” or “no” answer. For example, ask your daughter, “Which zoo animal is your favorite and why?” Or, ask your son, “Why do you think we should look both ways before we cross the street?” Questions like this will help encourage your children to think critically. If you have younger children, you can play easy games together or work on small art projects. Reading to them is also a great idea. There is another thing you can do to help your kids grow cognitively. You can enroll them in a great learning facility! An educational center that uses creative curriculum goals can help to help your little ones to develop in many different areas, including their cognitive processes. As children grow, it becomes even more important for them to have peer interaction. The different areas of your children’s lives are all connected. This means that believe it or not, your children’s social lives will also affect their cognition. Spending time with great friends and teachers in a positive learning environment will help to positively impact the way your little ones think, feel, and behave. Here at Ivy Prep Early Learning Academy, your kids can begin developing cognitive skills. We understand how kids develop and we do our very best to encourage that development. Our learning programs include creative curriculum goals which work to help children to feel more engaged in learning. So, if you’ve been looking for daycare centers in Manhattan or other areas of NYC, contact us today to find out more about what we have to offer! **Originally posted on March 30, 2018. Updated on March 22, 2019. With locations in Bayside, Manhattan, Deer Park, Staten Island, and the Bronx, we provide education opportunities to all New York families!